‘Tis the season to spread cheer and shop for the important people in your life. 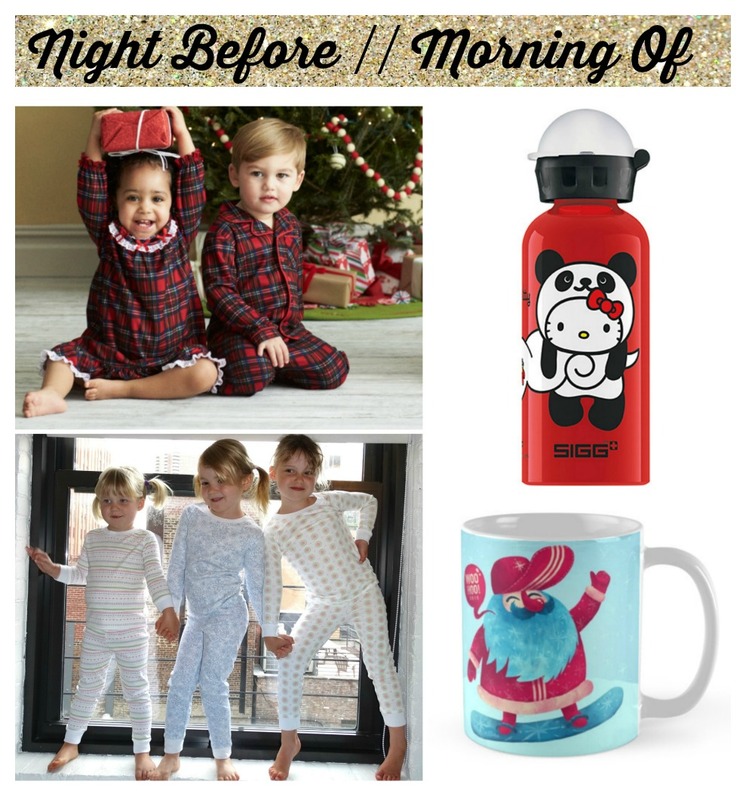 From gifts for kids, to her + him, and for the home too – we’re sharing our pre-tested favorites for Holiday 2015 with a keen eye for fun, style, and appreciation for lasting functionality. 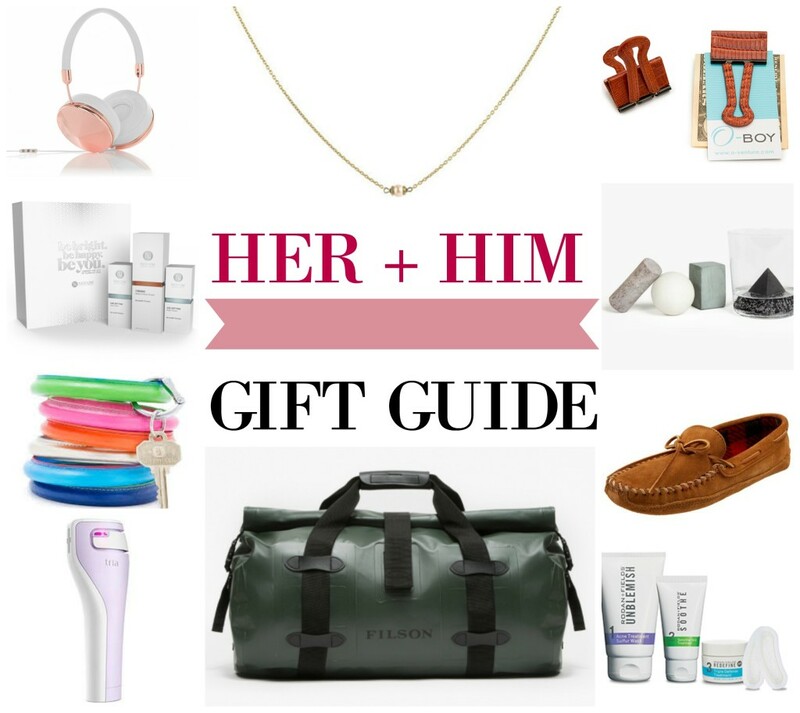 Scroll down for an exciting AMEX gift card giveaway to purchase something from our curated lists. Papinee: Gift the gift of imagination with a beautiful keepsake gift set from Papinee. Ignite curiosity and encourage children to follow their dreams as they explore the green grasslands of Kenya with this lovely Pantha the Lion set. Roominate: Encourage your budding engineer and scientist with wired building toys that promote cognitive development and spatial skills. She’ll love building her own amusement park complete with spinning rides and lighted contraptions galore. John Deere: Powered by scooting motion or the rear walking bar. Little ones ages 12 months and up will adore scooting around on their John Deere Pick-N-Pop Combine. Simply place the enclosed balls on the floor and watch your little one scoot around to collect the balls and then watch them drop out the side. Press on the GPS to hear fun musical tunes. Magformers: Magformers magnetic technology encourages unique constructional play experiences with endless possibilities. 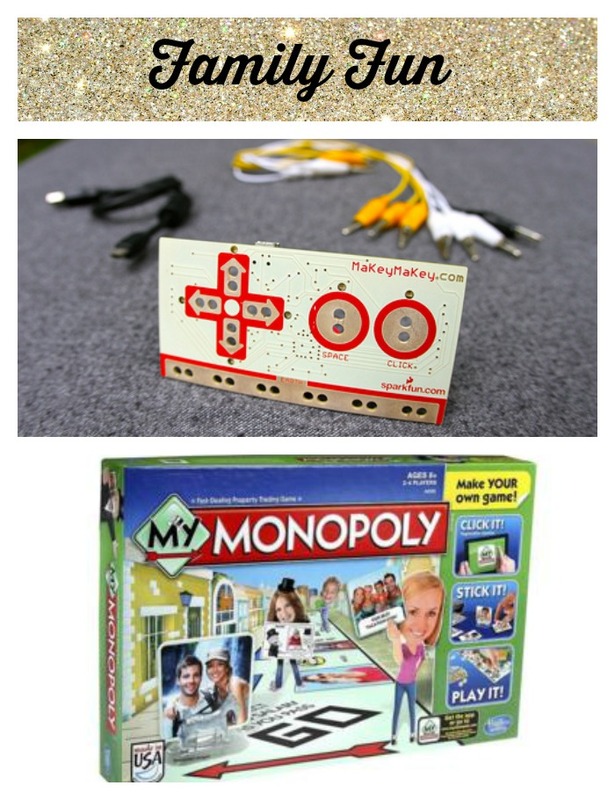 Kids will have so much fun learning about kinetic motion and structural building with these exciting magnetic toys. Playmobil: Looking for a special way to celebrate advent minus the daily chocolate? We adore Playmobil’s Advent Calendar Christmas Room with Illuminating Tree. Skylanders: Skylanders fans will adore the Skylanders SuperChargers Starter Pack while piloting their SuperChargers over land, under sea and through the sky to stop Kaos and save Skylands. Miposaur: Kids will love having their own highly intelligent dinosaur pet with evolving intelligence and personality. The Miposaur interacts with an included trackball allowing kids to take it for a walk, play fetch and so much more. LeapFrog: Fuel their tablet craving with a kid-safe device packed with fun. Read our complete review of the LeapFrog Epic Android based tablet here. We love the Internet connectivity with parental controls. Lenny & Eva: Gift her meaningful jewelry with a thoughtful piece from Lenny & Eva’s interchangeable jewelry collection. Go for a dainty necklace or special inscription. FRENDS Headphones: Give her the gift of unparalleled sound, while turning heads in these stylish over-ear headphones in FRENDS’ signature jewelry-inspired design. Hand-crafted in beautiful Taylor rose gold and white. Nerium: The gal who loves visible results will love Nerium’s limited-edition holiday gift sets. Their 3-piece Total Anti-Aging Skincare Gift Set including their Age Defying Night and Day Creams and Firming Body Contour Cream is sure to please. I love how the night cream creates a palpable sense of tightening. O-venture: She’ll never lose her keys again with O-venture’s Big O Key Ring. This stylish leather bangle saves my life on the daily – and we adore the new solid gold rush croc design. Tria: In just 2 minutes a day she’ll be able to work on those pesky wrinkles with Tria’s breakthrough anti-aging laser that is uniquely designed for treating the eye area. This FDA-cleared Age-Defying Eye Wrinkle Correcting Laser corrects fine lines and wrinkles around the eyes for eye-opening results. O-venture: Not just for the ladies! O-venture helps keep men organized too with a stylish O-boy Money clip. I can’t wait to upgrade my husband’s metal binder clip to this smart cognac embossed lizard clip. Areawear: Spread cheer in his drinks with the gift of Drink Rocks from Areawear. Chill the the cool shaped stones in your freezer before fixing him an evening cocktail. 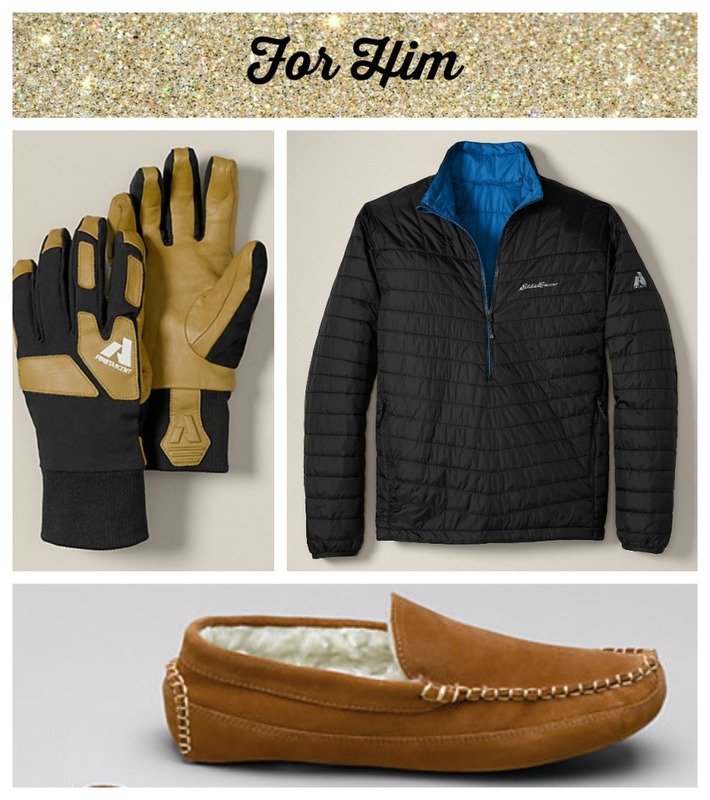 Minnetonka: Give him the gift of comfort in a great part of slipper moccasins from Minnetonka. We love the double bottom fleece! Rodan + Fields: He’ll appreciate the gift of a perfect shave with this three-step BEYOND THE SHAVE from Rodan +Fields. The regimen is clinically proven to alleviate razor irritation and reveal better-looking skin. Filson: All men need a great duffle bag, and we love this lightweight dry duffle from Filson in green. Wolf Gourmet: The Wolf Gourmet countertop oven with convection will make you never want to use your range again. The integrated temperature probe gives you precise roasting control without ever opening the oven door, and the unique perimeter convection mode ensures uniform heat throughout the oven. 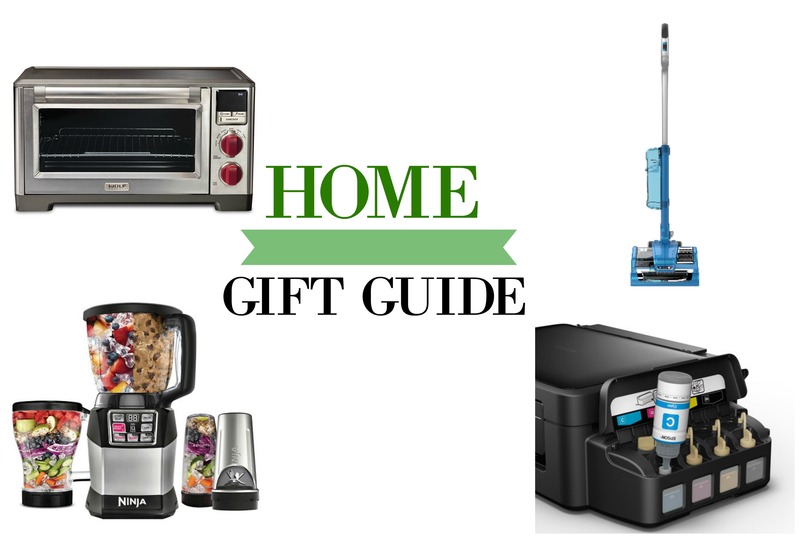 This gift is for the person who enjoys faster, more consistent, more predictably delicious results while baking, roasting, and broiling (or heating up frozen waffles:)). Ninja: The Nutri Ninja Auto-IQ Pro Compact System is a gift that the entire family will enjoy. Make delicious smoothies and more with nutrient & vitamin extraction AND high performance all in one machine. Shark: Give the of comfortable cleaning with the light but mighty Shark Rocket Powerhead. At only 9 pounds, not including the cord, this vacuum provides the cleaning power of a heavy-duty upright. It’s small footprint, and big cleaning capabilities will make you toss the bulky upright and never look back. Epson: Can your printer not run out of ink for TWO YEARS? The wireless Epson Expression ET-2550 EcoTank All-in-One Printer delivers convenience and value, loaded and ready with up to two years of ink in the box – with innovative refillable ink tanks and ultra-low-cost replacement ink bottles. WIN IT! Enter to win a $100 AMEX Gift Card Giveaway for your holiday giving. Visit the rafflecopter below and check back to see if your name pops up as the winner. Best of luck and Happy Holidays! 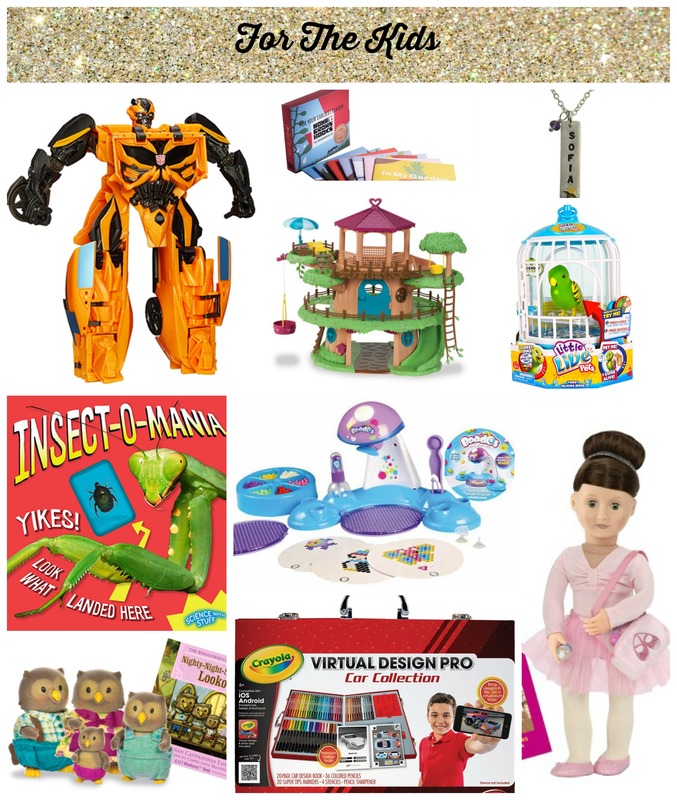 We’ve been busy rounding up our top holiday picks for children! I’ve met with brands at toy shows here in the city, and put my own toy testers to work at home. My gift guide reflects some new products that we are excited about, a few of our favorite well-loved toys and one powerful gift that I hope everyone will consider giving. There is also an exciting giveaway! 1) LeapFrog LeapPad Ultra Learning Tablet: This learning tablet has topped the “hot toy” lists this season for several reasons. With a 7-Inch hi-resolution screen, kid-safe Wi-Fi (with parental controls), and 8 GB of memory – this kid tablet feels and functions like one built for adults. My kids have been enjoying the 11 included apps, the front-and-back cameras, and the ability to text message each other. Mama loves the built-in rechargeable battery and the fact that we can play our “old” games on it (it works with LeapFrog’s library of 800+ apps, games, eBooks, videos, music and more). I have three words for those thinking of purchasing an adult tablet for a child: Leapfrog. Won’t. Break. 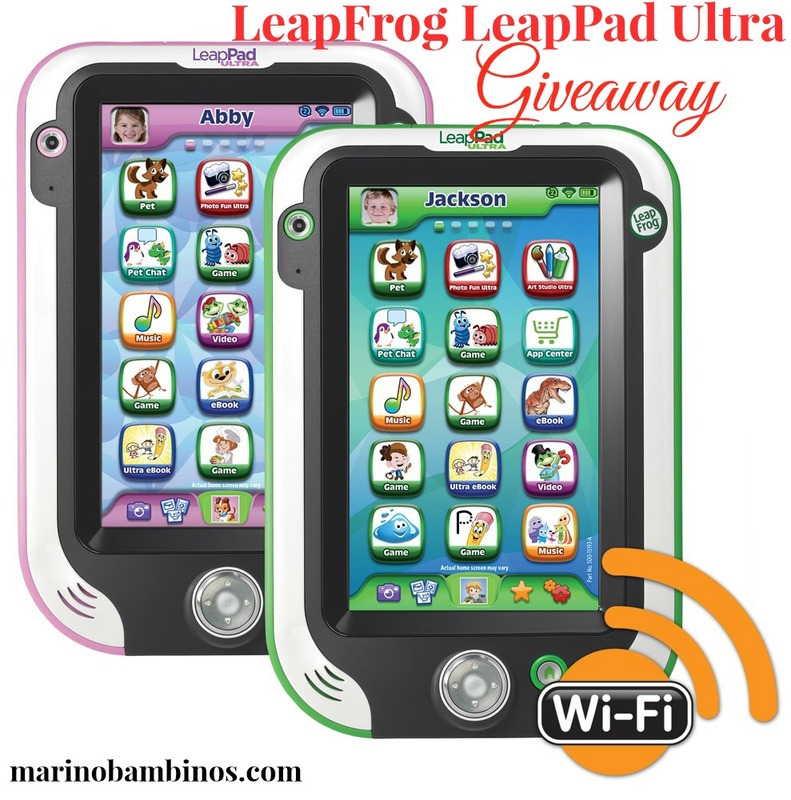 Purchase the LeapPad Ultra at LeapFrog.com for $149.99. 2) Goldie Blox and the Parade Float: I couldn’t wait to get my hands on a toy designed to inspire the next generation of female engineers! Lucia has been having incredible fun creating structures while building her problem-solving skills. She has constructed all of the projects in the included book and made many of her own vehicles. This is absolutely my go-to birthday party gift for Lucia’s female friends. This product retails for $19.99 and is currently sold out on the Goldie Blox website. I did find some Goldie Blox products on amazon.com (but be prepared to pay higher prices). 3) Paper Culture Memory Game: This eco-friendly memory game is unlike any other because it is personalized! A photo can be selected for each of the game pieces (hello grandparents, pets and those special baby photos!!). I can’t wait to create one for my nephew and my own kiddos. Best of all – Paper Culture plants a tree with every order. Order it at Paper Culture for $24.99. 4) 31″ Giant Darth Vader: If you have an action figure lover, I imagine that he/she will be thrilled with one of JAKKS Pacific’s GIANT iconic superheros. I can’t wait to see the look on my son’s face when he meets the biggest Darth that he has ever seen. Find it at ToysRUs for $34.99. 5) Shimmer n Sparkle Cra-Z-Loom Rubber Band Bracelet Maker. This is the one toy that my 6 year-old is asking for this year. In addition to the bracelet maker it includes 600 latex-free assorted-color rubber bands, The “S” hook special weaving tools and an illustrated booklet. Find it on sale at ToysRUs for $11.99. 6) Safari LTD figures: These hand painted educational toys make perfect stocking stuffers. I especially like their safariology science collection including solar system figures and life cycle replicas. Find them at Michaels. 7) Deluxe Pixie Party Fashion Dolls: A recent trip to Disney World renewed my daughter’s fairy interests. What’s cooler than seeing Tinkerbell fly? These dolls have an updated look and are sure to please the doll lover. Find them at Walmart for $16.99. 8) Hape Toys All Seasons House (Furnished) Toy Set: Of all the toys that my kids have played with over the years, they have gotten the most use out of toy houses and farms. I happen to love this open wooden design (complete with parts). Find it at Hayneedle, currently on sale for $180. 9) Hugg-A-Planet Planet Pillow: As parents, I think it’s important to raise global citizens with an understanding of different cultures and communities. I bought this pillow shortly after having my first child, and it has functioned as a pillow, a ball and an educational tool. For the record, the kids also have a real globe, and it’s been glued back to its stand more times than I can count! Find this one for $30 at one of our favorite NYC stores, Piccolini. 10) Rainbow in My Room by Uncle Milton: My husband purchased this amazing rainbow projector for Christmas last year. It has become a magical part of the kids’ bedtime routine as it projects a colorful rainbow on their bedroom wall. Best of all, it has an auto shut-off. Find it at Barnes & Noble for $24.95. 11) Marble Sparks Twas The Mouse Who Saved Christmas: We reviewed this book last year, and pulling it out again this year made me realize how special it is. Books are fantastic gifts and personalization makes it a meaningful present to give. Order it from Marble Sparks for $29.95. 12) Modern-Twist New York Placemat and Markers Coloring Set: I really like this Big-Apple themed 100% recyclable reusable place mat. With kid-safe dry erase markers, it’s sure to offer hours of coloring fun. Find it at Barneys for $25. 13) Oxfam America Unwrapped Gifts: Last but not least is my favorite gift of all – a gift that does great good. Oxfam is a nonprofit organization committed to creating lasting solutions to hunger, poverty and injustice. 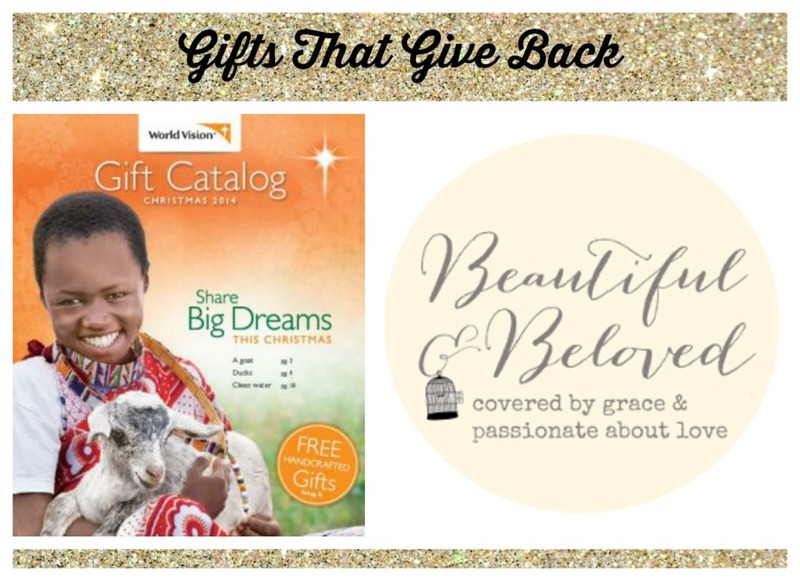 We have previously given Oxfam and Heifer International gifts in family members names, and believe that giving gifts that do good is an integral part of the Holidays. These gifts are also a great way to instill the gift of giving in young children. From school meal programs to mosquito nets, chickens and even midwife training – these gifts give support to Oxfam worldwide programs in over 90 Countries. 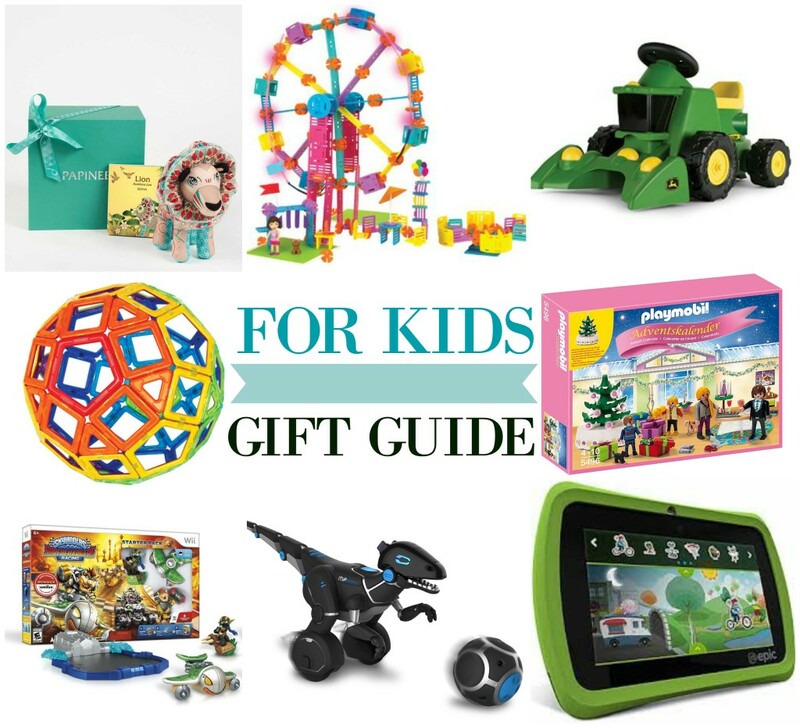 Kids can help select gifts for family members via the web. Perhaps scale back on the toy purchases to give Oxfam gifts to children too. 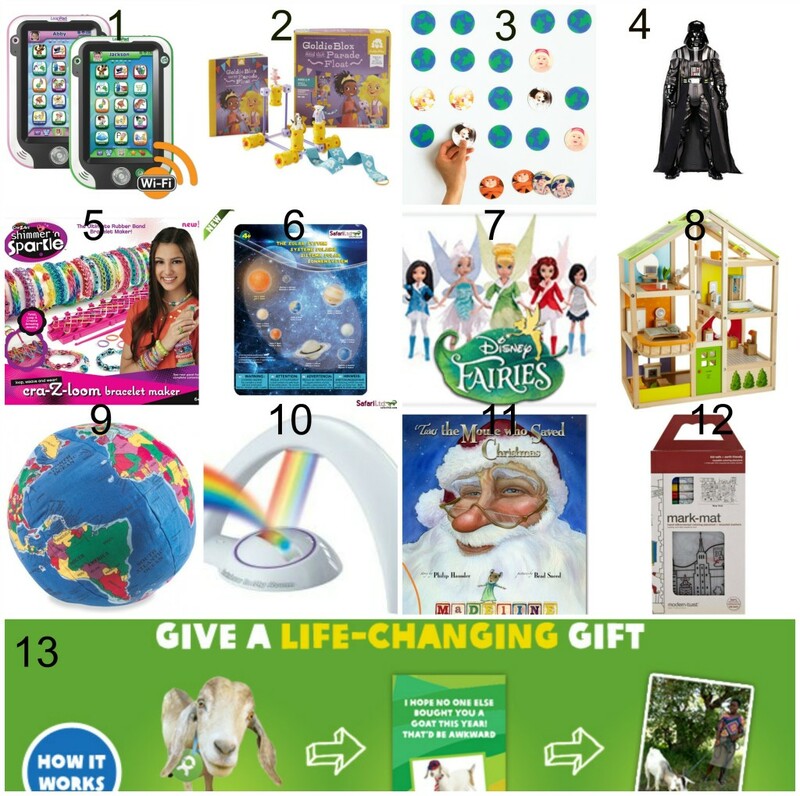 Visit the Oxfam website for more information (these lasting gifts begin at only $18). 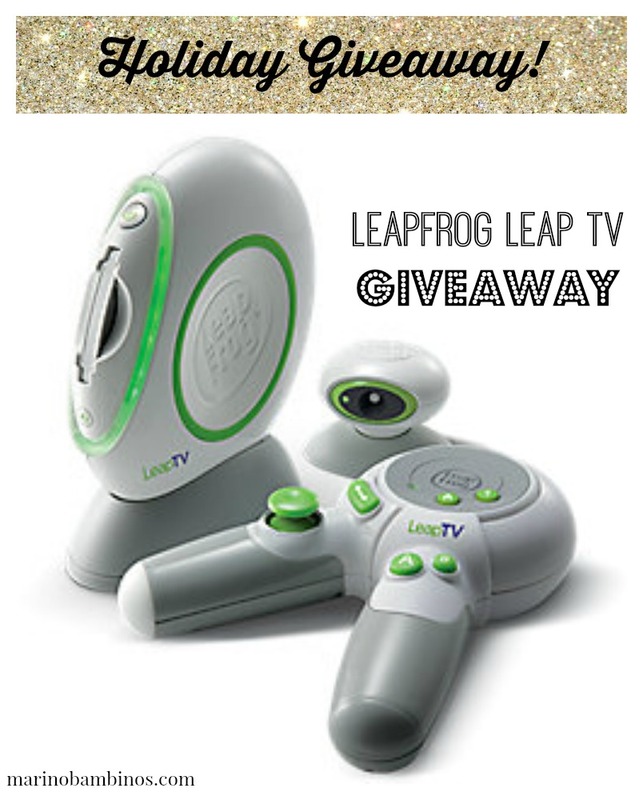 Win It: I’m happy to share that I’ve teamed up with LeapFrog to giveaway one of the hottest toys of the season – their award winning LeapPad Ultra. LeapFrog is one of the first brands that I started working with and I’m thrilled that someone will start off the new year with the ultimate kids’ learning tablet. UPDATE: Congratulations to winner Linda C! A second entry will be given to LeapFrog & Marino Bambinos followers on Facebook. A third entry will be given to Marino Bambinos followers on twitter. Please leave a separate comment telling me how you follow (three comments total). A winner will be selected via random.org on December 26th, and the prize will ship in the new year. Please note that this contest is open to US only. Happy Holidays and my best to you all! Special thanks to Time To Play and The Big Toy Book for having me at their holiday toy shows. Samples of items 1 – 7 were provided. Item 11 was reviewed last year. As always, opinions are strictly my own.